If you have any musical aspirations, you have probably imagined playing in or visiting Carnegie Hall, one of New York City's premier music venues. 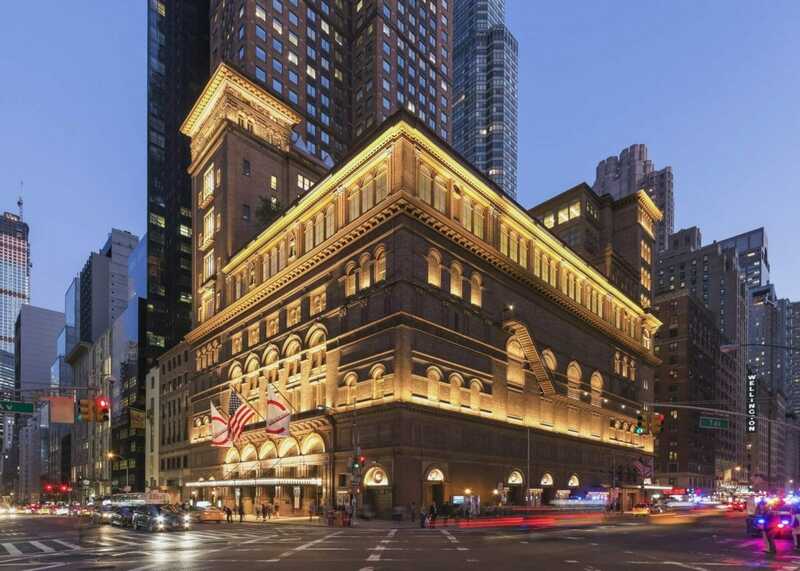 Carnegie Hall is one of the most iconic, historic concert venues located in Midtown Manhattan, along Seventh Street just two blocks south of Central Park. This longtime music hall saw it's beginnings in 1891 after a young conductor took quite a chance by asking one of the world's richest men, at the time, to build an entertainment venue in an underdeveloped portion of Manhattan. The rest is history, as you can clearly see today, the entire building a gorgeous reminder of going for what you really want in life, as well as the importance of music in general in many different lives. Inside the hall, you will find three different stages, several outstandingly gorgeous hallways and architectural details, and numerous daily classes, rehearsals, and events taking place. There are five levels of seating throughout the main stage, and all the halls are renowned for their excellent acoustics. The halls are full of history and memorabilia from the amazing performances the hall has seen since its inception, as well, including signatures from the legendary performers themselves. Your group can choose to walk around on your own for a visit or before a show, or you can call ahead to schedule a personal tour, given to groups of 20 or more anytime (usually) from October to Late June. The tours take about an hour and will show you the intricate details of the culture, future of music, and visionary education programs. Carnegie Hall is an icon of classical music. Its rich history and astounding beauty make it the perfect attraction for New York City student and musician tours.